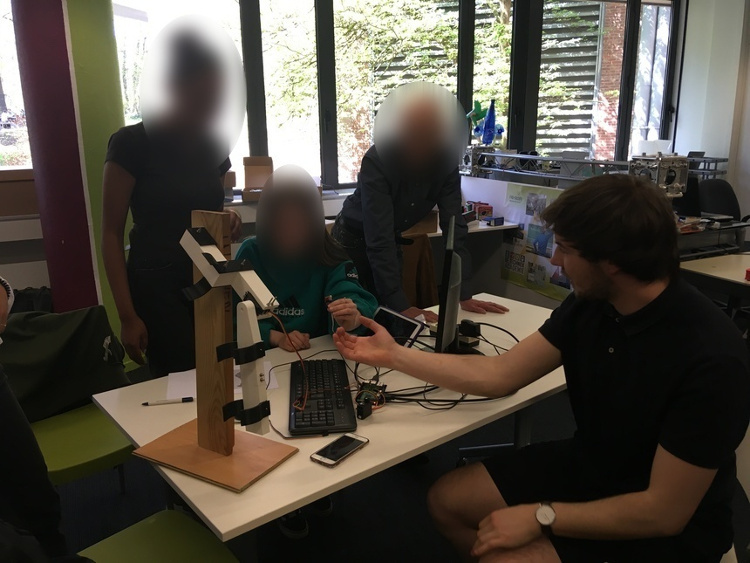 This project stimulates the interest of pupils in the third grade of secondary education for STEM (Science, Technology, Engineering and Mathematics). The package consists of an exo-arm with the necessary sensors and actuators. The students can incrementally build the exo-arm using the supplied handbook. The covered topics are aligned to the official learning objectives in mathematics, physics and biology.